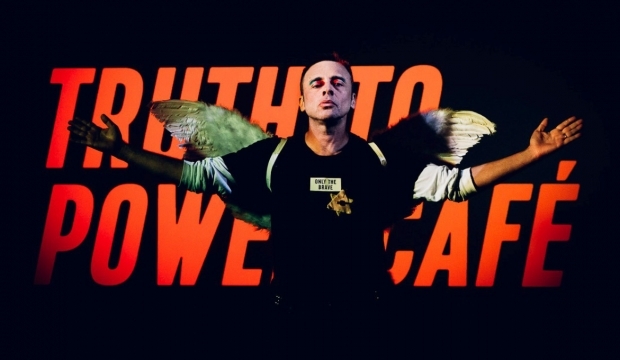 Theatre producer, writer and performer Jeremy Goldstein tells us more about Truth to Power Café, the show that’s challenging participants to speak out. George Orwell said that “in times of universal deceit, telling the truth is a revolutionary act”, so in this new golden age of alternative fact, and fake-news, Truth to Power Café is a revolutionary act in itself. 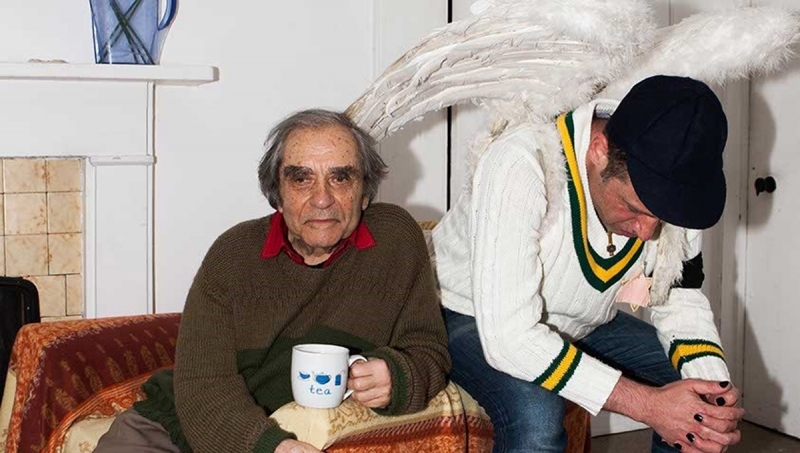 I created the show as a love letter to the memory of my father Mick Goldstein, and his friends of sixty years, actor and poet Henry Woolf, and the Nobel Prize winning playwright Harold Pinter. Truth to Power Café is a call for self-expression, a moment to rise up in the name of free speech and political activism, to say what you’ve always wanted to say, be the person you’ve always wanted to be, and to do it in front of a live audience all bearing witness to you. At the Roundhouse up to 20 London participants will join us, including artist and activist Reece Lyons who shares her views with Jenny, a former participant in Bradford who both want to smash the patriarchy. Former participants include Kieran in Doncaster who is empowered by his 3-year-old, and Aisha a Muslim woman in Bradford, spoke of her family’s expectation to maintain her father’s honour. In the Netherlands I met Ronald who wrote an ode to his autism. In Australia, Robbie spoke of his HIV for the first time, and Gregory, a proud Waanyi, who spoke of a higher power instinctual to 60,000 years of indigenous culture. Gregory’s astonishing speech reminded me of a long-time collaborator of mine, Penny Arcade, who says “true power comes from knowing the absolute truth about ourselves and that takes ruthless honesty”. As for me, I speak for the living and the dead, and of my tattered wings made from the garbage of my heart. I recall the power my father Mick had over me when he was alive, and how only in death, he finally became my hero, and I became free. The Crowning of Reece Lyons from Jeremy Goldstein for LAP on Vimeo. > Truth to Power Café is directed by Jen Heyes and runs from 30-31 October. Find out more, watch the trailer or book tickets.